In this extraordinarily sensitive and penetrating psychological story, a series of letters from a family friend reveals far more than expected in hindsight. A mysterious man follows a nun to her hiding place in order to say a midnight mass. The master of existentialism takes us on a journey into raw fear as felt by three men facing execution during the Spanish Civil War. A delightful tale of a young man's unusual first love. In this hilarious tale, a remote monastery in the French countryside decides to go into the spirits business...alcoholic spirits that is. When a French priest finds his niece involved in a romance, his religious obsessions threaten to erupt into violence. An epiphany intervenes. Set in the ancient Roman Empire, this is an intriguing conversation between two well connected Romans, one of whom is Pontius Pilate. Set in French colonial Algiers, this is a story of how a French teacher is made to suddenly experience the fear and hostility of being an outsider in a hostile land. Growing to womanhood in a provincial French village is the subject of this marvelous story. The master of the adventure novel tells a tale of an unusual duel. But the ultimate victims of this affair turn out to be not only both the duelists, but a third party, as well. This comic tale is about a man with miraculous powers. At first, he is content to play practical jokes, then he moves on to burglary and high romance. Dumas has written so much that is classic, it's easy to overlook the other great storytellers of France. This volume makes for a good introduction. music is very annoying. The stories and the reader make this book a worthwhile read. I found it nearly impossible to get anything from this because both performance & presentation are so bad. The reading manages to be both overblown and robotic. Clearly the reader has little or no real engagement with the material & falls back on bad acting, cliche and guesswork where understanding, subtlety and nuance are required. 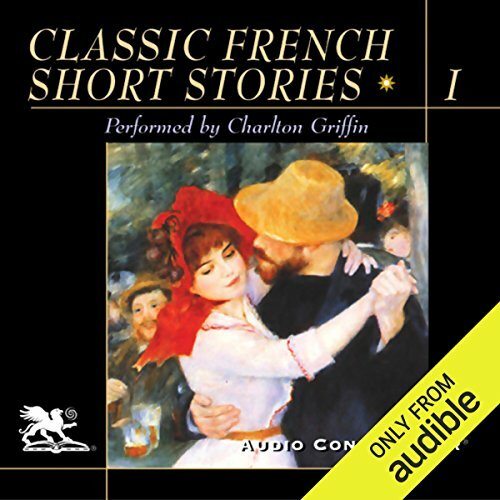 A real shame as I was pleased to find some English translations of classic French literature on audible. What was one of the most memorable moments of Classic French Short Stories, Volume 1? In so many ways. Nuance, subtlety & a sense that the reader had engaged with the texts would be a start though. More translations of French lit would be nice. Particularly if done well. Could not work out if the narator was human, or a computer. The voice often sounded like a voice recogniton programme. Not the easiest listen from Audible.